Welcome to our guide to how to clear land by hand. While land clearing is an incredibly involved process, and usually requires the operation of heavy machinery and many hours of work, it can be done by hand, and by you. It’s a lot of work, but if you weren’t aware of that, then you wouldn’t be reading this, now would you? Why Would I Clear Land By Hand? Before you get started, it is important to figure out why you want to clear land by hand, and if it’s even feasible in the first place. A lot of land clearing companies are paid hourly, and so they try to clear the plot of land as quickly as possible. In order to do so, they use heavy machinery, including a Bobcat, a Backhoe, a stump grinder, etc. And these machines cost money. If the piece of land is small enough where you can clear it without using heavy machinery, then go for it! It might take you longer than a professional land clearing company, but you can do it. Another reason land clearing companies are hired is because they are familiar with difficult projects. If you are trying to clear an incredibly rocky piece of land, or you have very old trees or trees that are leaning, or the plot of land is part of a swamp or marsh, then clearing it isn’t as simple as cutting down some trees and clearing some brush. If the terrain you’re trying to work with is not difficult, then give it a shot yourself! Notice I didn’t call “Easy” terrain. I said “Not Difficult” for a reason; land clearing isn’t easy, by any stretch of the imagination. Land clearing by hand isn’t going to be a quick-and-easy DIY project that you can accomplish on a Saturday morning. If you need to clear land to build your house, go with a professional. They can get it done quickly. But if you don’t care about clearing your land in a short amount of time, then just work at it on your own pace! Read this piece by The Farm Barbie on when she and her husband cleared a patch of land for themselves. Once you’ve decided to clear the land yourself, it’s time to find the right tools. If you have a piece of heavy machinery, then I assume you know how to operate one. However, for the purposes of this article, I will assume that you don’t. Don’t even attempt land clearing without these tools. Nothing beats a good chainsaw. Make sure you check the bar and chain oil level, and keep the chain sharp! Depending on the density of the trees you’re cutting, your chain should be able to stay sharp for about half a day. If you hit dirt, that will dull it, and if you hit a rock, your chain is done. When you’re about to pull out a small tree, it’s important to know how extensive the roots are and to loosen it up for pulling. 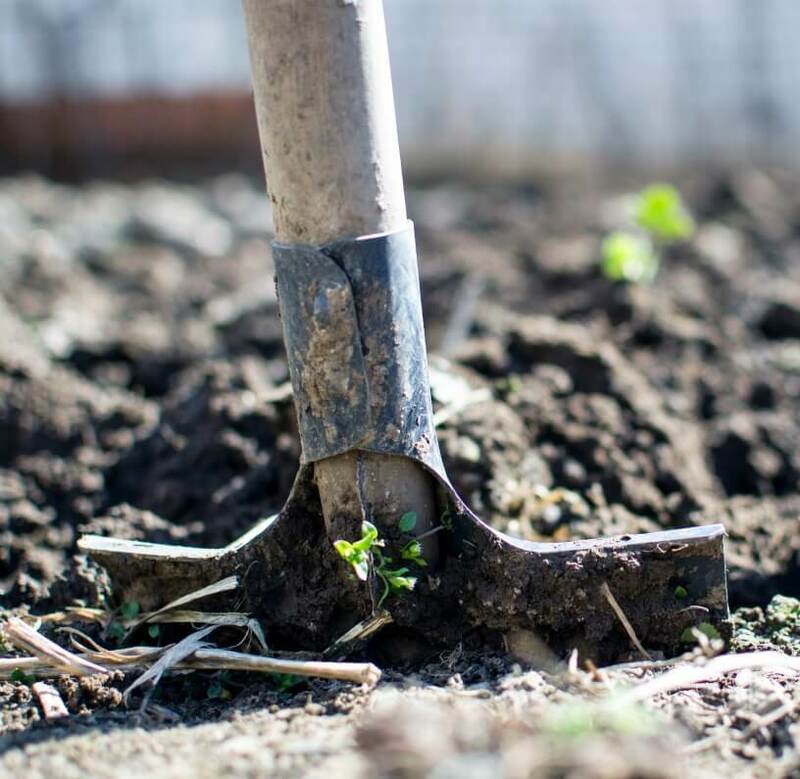 For small trees, bushes, and shrubs, a spade is the way to go. 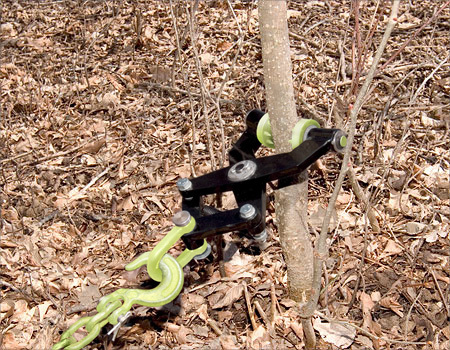 A brush grubber is a fun little tool which you can attach to a tree, and then pull it out of the ground, roots and all, with a 4×4 or a truck. 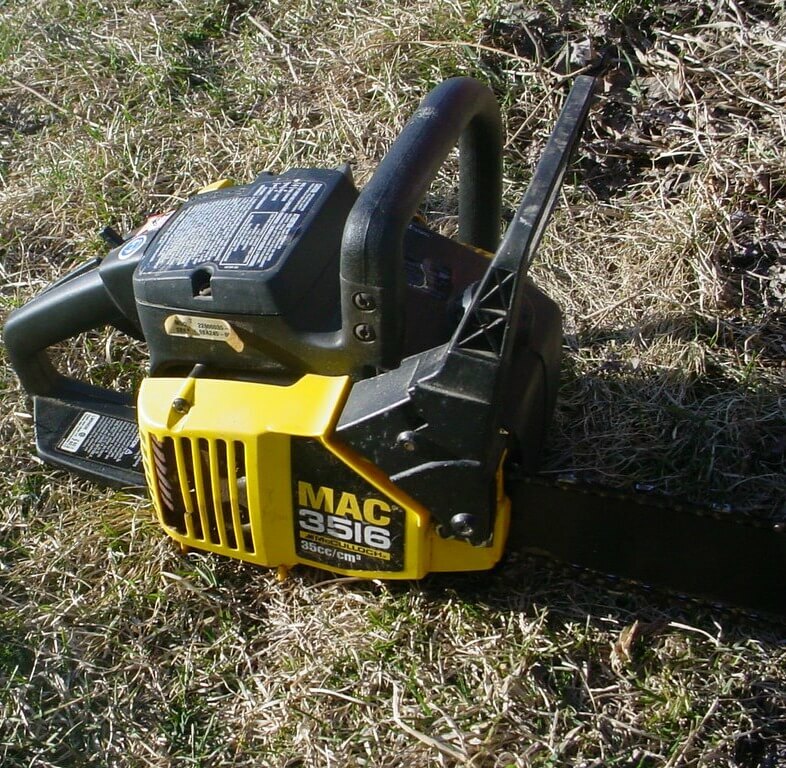 It’s great for land clearing trees up to 5 inches in diameter! Get a taste of the brush grubber in action by watching this video review. So you’re going to clear the land yourself, and you have all your tools. 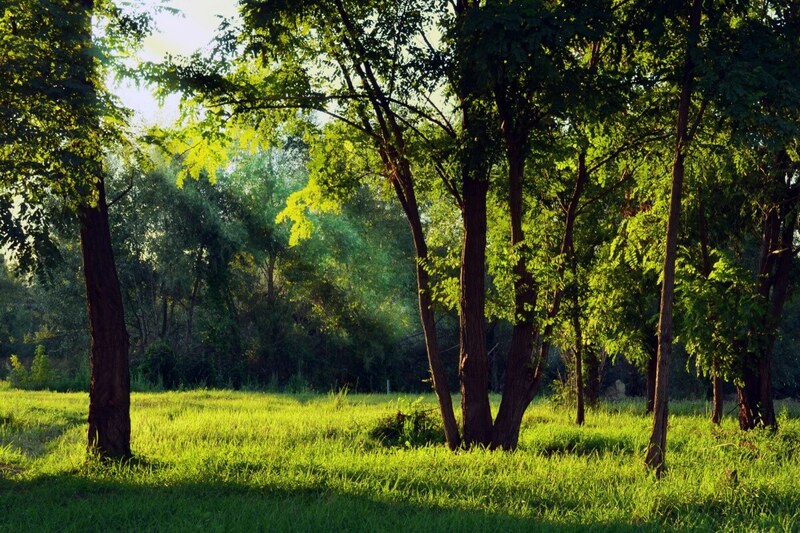 During the clearing phase, you clear small trees (under 5 inches in diameter), bushes, shrubs, brush, big rocks, and you thin out the ground vegetation. This is to give you clear pathways to walk, and space to work with when you start to fell trees. Trees need to fall somewhere, and it’s important to be able to access them in order to haul the logs away when you cut them. The felling phase is obviously when you start to make your cuts to the larger trees. 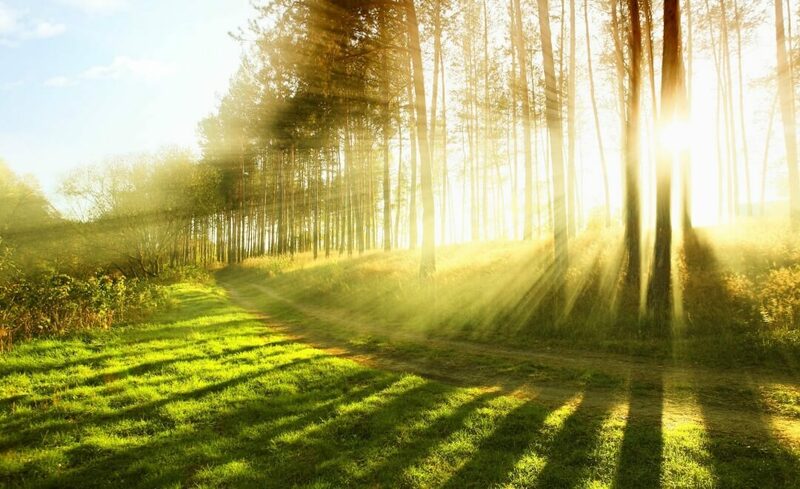 Once you fell a few trees, the sky will open up and you will begin to see the payoff of your efforts. Once the trunks are on the ground, you can cut them into manageable logs and haul them off. Make sure to get rid of the leftover branches too. You can mulch them, or burn them in a big brush pile. Make sure to always safely cut down the trees. 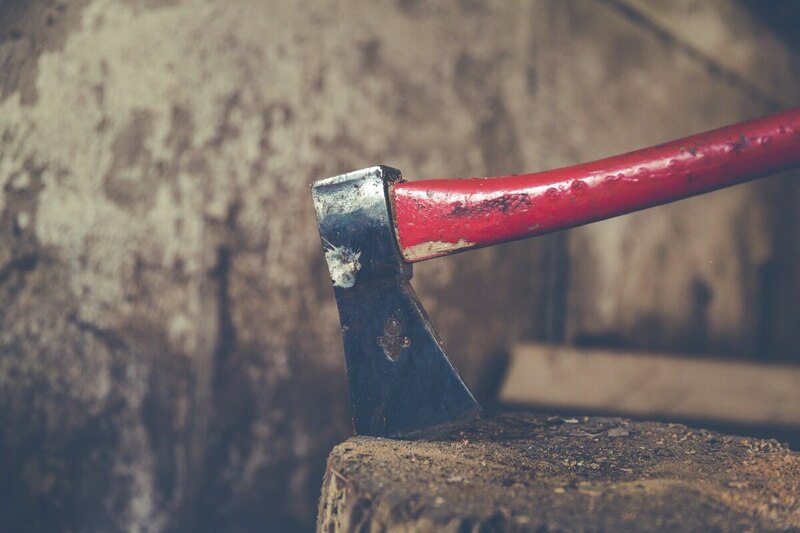 Tree removal can be incredibly dangerous, so if you are in any way uncomfortable with using a chainsaw or felling a tree, call a tree removal company and do not try to cut down trees yourself. Once you have all the brush cleared and all the trees felled, you’re not done. It will look much better than it did, but there will still be stumps where you felled large trees, roots sticking out of the ground, large holes from where you pulled up rocks and pulled out small trees, and other surface imperfections. Pile all the leftover brush and branches for burning, to get rid of them. You can take an axe or hatchet to the exposed roots, or simply kill them and fill in the holes with dirt. You will want to treat the area with some sort of weed killer in order to prevent brush from growing back. 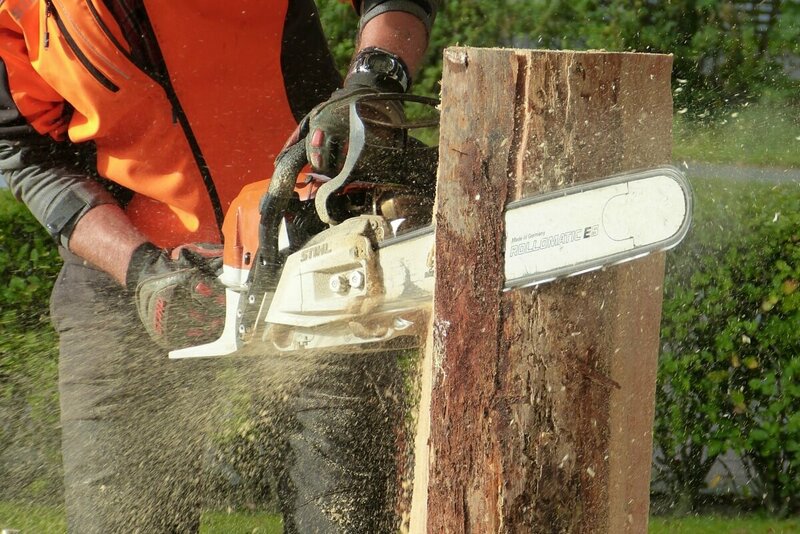 Stump removal is a little trickier, and there are several options to consider, including: stump grinder, removal by hand, chemical treatments, burning, and rotting. An easy way to kill roots and tree stumps is to drill holes in them and fill them with salt. Leave it sit for a few weeks, and they begin the stump removal process. So here’s the thing: clearing land by hand may not be for you. It can be a huge undertaking, involving long hours of hard work and taking quite a long time to finish. However, if you aren’t clearing a whole forest, you are confident in your abilities to operate the tools necessary to clear the piece of land, and you don’t mind spending a few months working on it, then go for it! If at any point you aren’t comfortable with land clearing by hand, do not hesitate to call in a professional, even just for part of the job. If a tree is close to a building, or leaning dangerously, or you aren’t very confident in your abilities to handle a chainsaw or heavy machinery, then choosing a competent land clearing professional is the right option for you. Call E-Scapes to get the answers to all your land clearing questions! Thanks for mentioning that stump removal can be a tricky process. I’ve heard about the method of using salt before, but I have personally tried it. Since I would prefer an easier and faster cleanup, I’ll look into hiring a stump grinding service. I suggest you build brush piles as opposed to burning the leftover brush and branches. Brush piles are hotels for small wildlife. Incorporate them into your landscape design! My land is in the clean up phase. A company took care of the trees and stump said and brush. Now we are left with bumpy dirt with thin roots sticking out. If you could use a machine to clean and flatten. Which would you recommend?